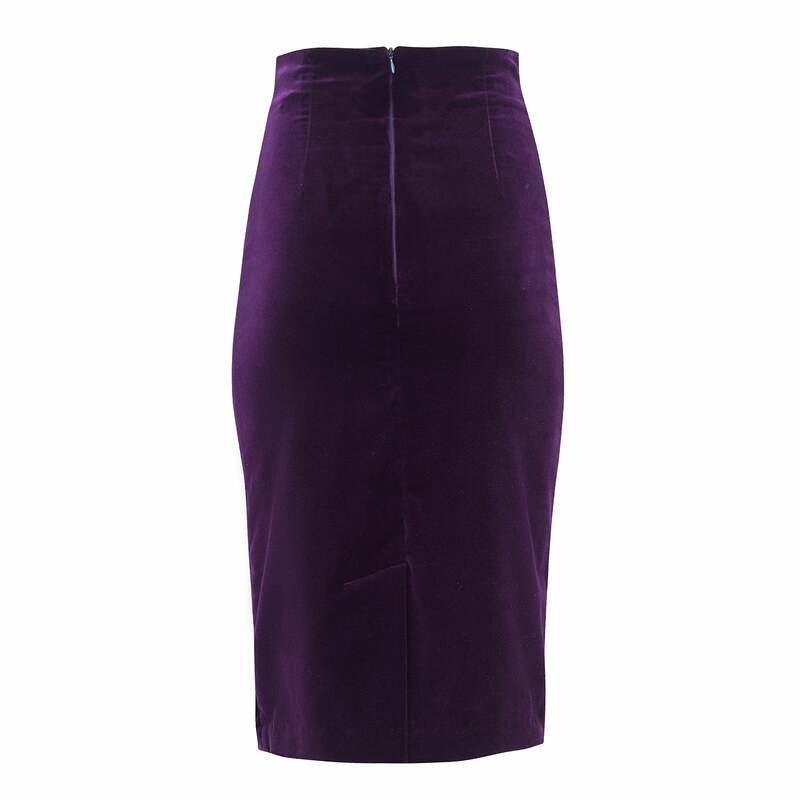 The comfort of a pencil skirt meets the elegance of velvet in rich, jewel tones in the Mariola knee-length skirt. 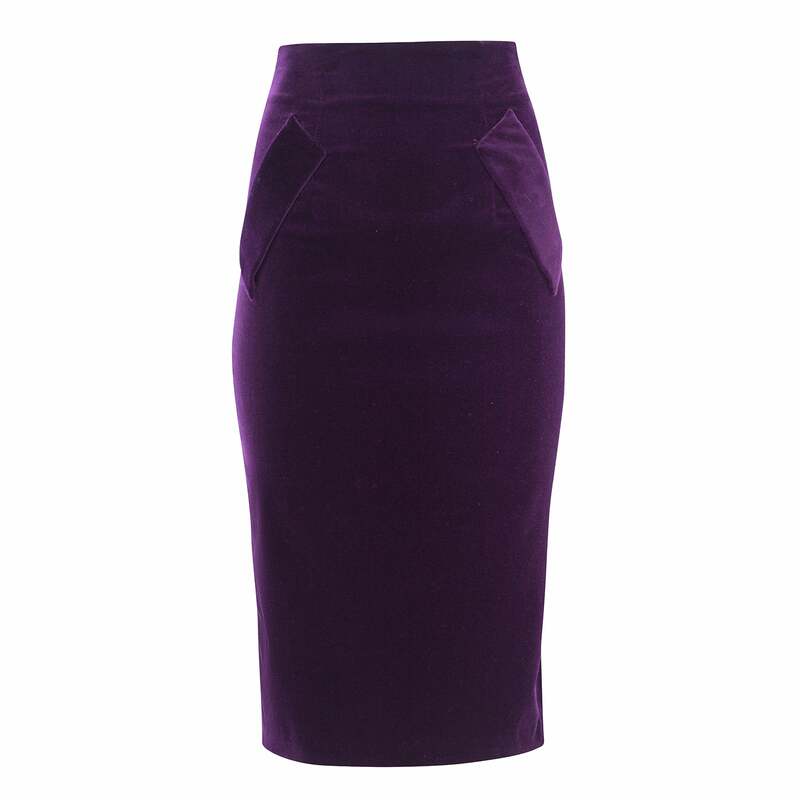 This skirt sits at the waist and zips up from a discrete hidden zipper in the back. Available in luxuriant plum, ruby and royal blue tones, this form-fitting piece is the perfect partner for the elegant Brina silk body suit or the Alessia peplum top, creating the illusion of a dress. Fall in love with the Mariola skirt’s soft, texture and distinctive nature.